Shakespeare is undoubtedly one of Britain’s most well-known and renowned playwrights to date, with hundreds of plays that are readily taken in at theatres across the country even today. Shakespeare’s iconic Globe theatre is a popular venue for these works, standing at the site where William Shakespeare’s acting troupe performed centuries ago. 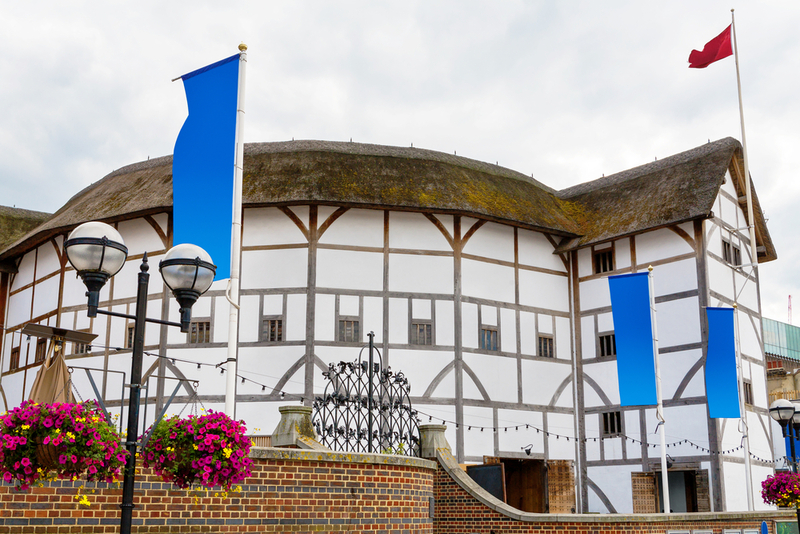 If you’re a keen fan of the Bard, then you’ll want to make sure that you head to this historic venue to take in one of his dramatic shows. In April, Shakespeare’s Globe in South Bank is offering a variety of his plays. Until Thursday April 21st see Cymbeline, a play that takes you to a dark, wintry nightmare, lit only by candlelight. Cymbeline is a tyrannical king of ancient Britain who banishes his daughter Inogen’s husband Posthumus for being an unworthy commoner. Follow what can only be considered a surreal, emotionally intense plot line. Running until the same date, you can see Pericles, the first indoor production that was ever held at the Globe. This ridiculously fun and over-the-top romance will certainly bring a few laughs – much like many of the Bard’s signature shows. From Saturday April 2nd until Friday April 22nd you can see The Winter’s Tale, one of Shakespeare’s more well-known works of art. It was within this play that the Bard coined the phrase the ‘green-eyed monster’ to describe Othello’s paranoid frenzy, a term which is now widely used today. While extravagant as always, the play’s transcendental magic comes from its heart-rending performances, which are truly worthy of this renowned stage. To book your ticket to one of the Bard’s iconic shows, visit the venue’s website. If you’re a lover of theatre, then one of Shakespeare’s works is a must-see this April in London.